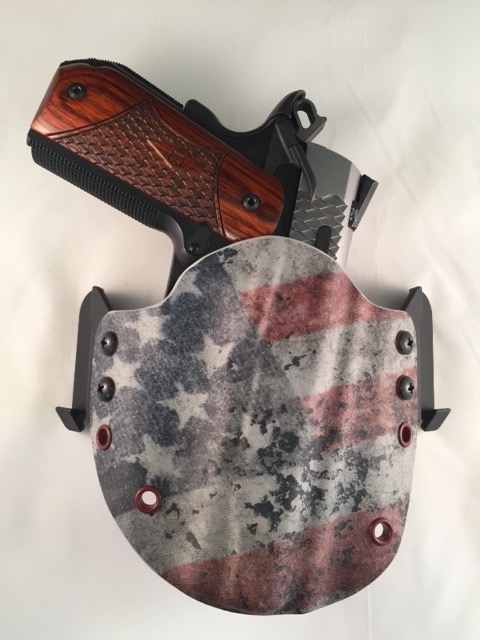 Our limited edition Cobra comes with some unique features not regularly available with our standard Cobra like the addition of a sweat shield, our distressed American flag Kydex front, red Kydex back, and red eyelets to tie everything together. 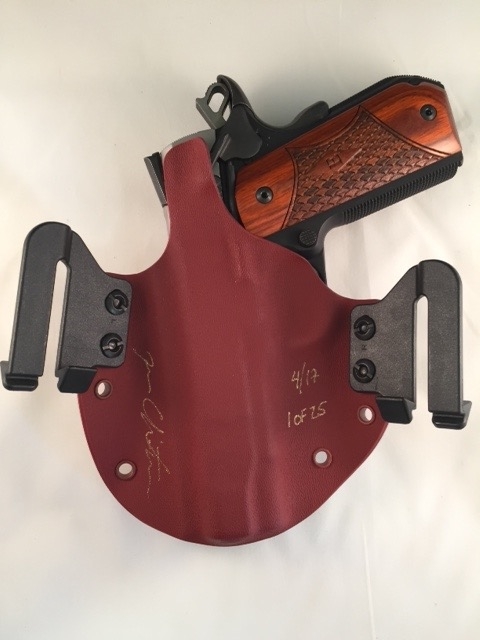 This run is limited to a total of only 25 holsters. 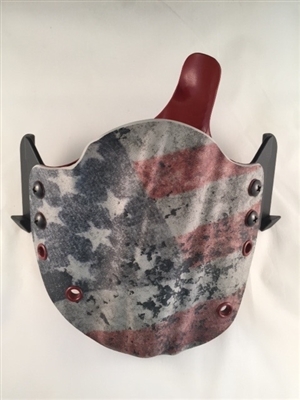 Once they are sold we will not offer this combination of colors and style again. 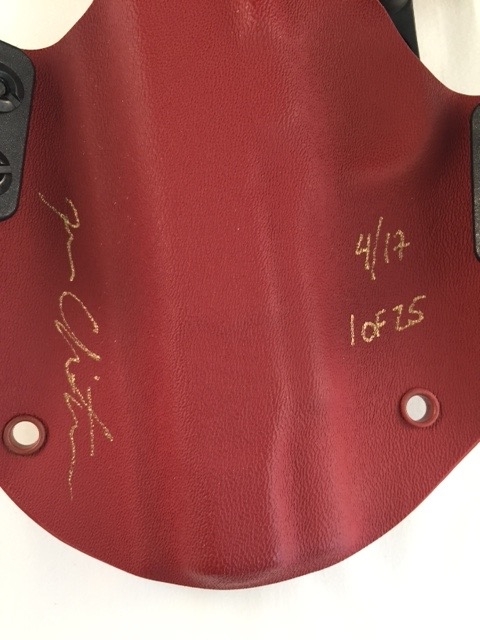 Each holster will be numbered and signed by designer/builder Jason Christensen. Don't miss out. Order yours today.